What do Guys Think of "Modern Beauty"? I’ve always been told guys don’t care for most trends, each time I’ve explored the latest hipster, bohemian or Kirstin Stewart-”what do I freak’n care” trends through the years. I would always think, well I don’t dress for guys so what does it matter? There is something to be said to live in an era where fashion is purely a statement of self-expression and no longer of class, vocation or age. Yet current styles from the industry sweep up more territory than others, setting trends that define a decade. 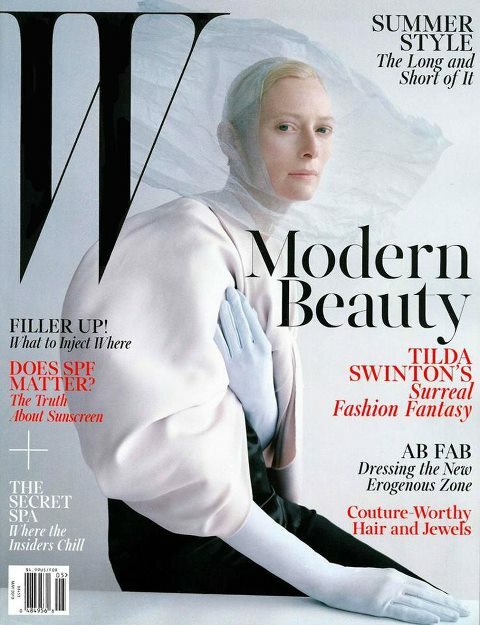 It is now the age of “modern beauty.” At least that’s what W magazine would name it. From it’s appearance, this “modern beauty,” if you will, is a sort-of plain, monochromatic faced, clean slated look that says, “I put a lot of time into looking like I didn’t take much time”; A rather engrossed simplicity. Think well-tailored, streamlined and tonal, makeup minimalistic, playing up harsher features like deep sunk-in cheek bones or fiercely thick and groomed brows. It’s been making a mad rush down runways and the likes, while famed stylist to the stars, Rachel Zoe would like to sum their personal style as such (eh, I would disagree.) Today one would call this look androgynous. I’ve always been a fan of the masculine look. Probably ever since first watching When Harry Met Sally with all Meg Ryan’s grandpa sweaters, fall trousers & matching vest attire, like camouflage against a New York City Fall. Then later, to my late discovery, there was the great Diane Keaton in Annie Hall (a film that couldn’t possibly embody one women’s personal style better, always so fully herself) who’s tomboyish look was altogether effortless, clean, beautiful and all the while masculine. Come each Fall, or no Fall (I don’t believe I’ve had a real one since NYC in 2010, *sigh*) I always love classic trousers, a wool vest, some sweet old man loafers fit for a dainty foot, and a great fedora or some boyish bowler hat (when I have the guts). There are very feminine ways to be “masculine.” I may be wrong, but I would say dressing masculine every now and then is neither a turn off or so-called man-repeler. Androgynous is commonly misinterpreted as today’s version of masculine (ha, though by the judge of things it just might be.) The word androgyny is derived from the Greek root words ανήρ, (andr-, meaning man) and γυνή (gyné, meaning woman), referring to the combination of masculine and feminine characteristics.That being said, it is not meant to own solely masculine or feminine traits but genderless and unisex. It’s a rather flat look that, yes like every other style, has evolved to a mainstream “look”. Today you will even find a category for Androgynous models, specifically tailored for such genderless appeal. What is considered as androgynous has evolved greatly throughout the years. 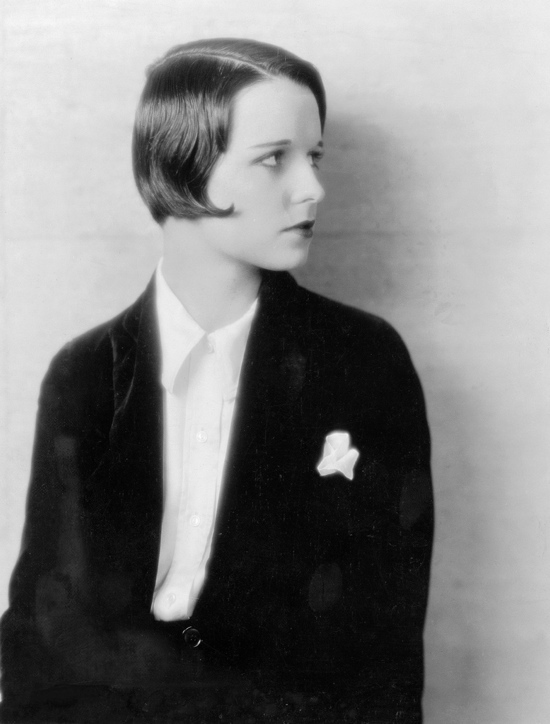 In the 1920’s, better known to most of you as the decade of The Great Gatsby (aka the Jazz Age), the bob was the infamous androgynous fashion statement of the century. It was considered by many as masculine and unbecoming, (again where I question my taste: I find bobs the most flattering and becoming haircuts, though my brother always manages to eagerly sway me from making the cut once again,) reminding me of a favorite quote from Downton Abbey when the series enters the 1920’s and bob are all the rage: Referring the new fashion Matthew’s fiance states, “I don’t know how feminine they are.” Spiteful, Mary replies “ I don’t know how feminine I am.” I guess it was a tomboy’s ways of being a rebel in that day, though today’s androgyny statements don’t quite compare to Daisy Buchanan’s sleek coiffe. Today’s androgynous statement is a different look entirely. Its one that is cold, not manly. Flat, not masculine. Structured, not buff or burly. Due to this uproar, I will even admit succumbing to the desire to grow in and bush up my thinner eyebrows for the sake of some similar looks, but, getting finally to my point, do men find this look becoming or repelling? While I know many men could care less what style a woman wears, let alone notices (cause frankly most men don’t), this one peaked my curiosity. Could this androgynous fashion statement be a little less becoming than some women may think? Or is that altogether the point. It may be that sexless styles and fashions are for that very purpose, to confuse and repel men from any interest. While these modern designs and cover looks continue to flourish for woman I can’t help but wonder (for those shallow and vein women like myself who, yes, actually do care at times what you think of what we wear) if this androgynous trend is something guys care for? So tell me men, what is your take on this so-called “modern beauty”?